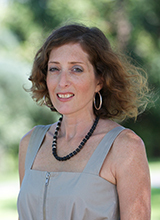 Dr Alana is Associate Professor in Cultural and Social Analysis at Western Sydney University. She works on the critical theorization of race, racism and antiracism. She is co-editor of the Rowman and Littlefield International book series, Challenging Migration Studies (opens in a new window) and the President of the Australian Critical Race & Whiteness Studies Association (opens in a new window) (2017-19). In 2017, she was Hans Speier Visiting Professor of Sociology (opens in a new window) at the New school for Social Research in New York. With Justine Humphry she led research into Antiracism Apps. Her latest books are Racism and Sociology (opens in a new window) (with Wulf D. Hund 2014) and The Crises of Multiculturalism: Racism in a Neoliberal Age (opens in a new window) (with Gavan Titley, 2011). Her articles have appeared in Continuum, Information, Communication & Society, Ethnicities, Ethnic and Racial Studies, European Journal of Social Theory, the European Journal of Cultural Studies, and Patterns of Prejudice among others. She has also contributed to The Guardian (opens in a new window), ABC Religion and Ethics (opens in a new window), ABC Radio National The Minefield (opens in a new window) and Big ideas (opens in a new window), Public Seminar (opens in a new window), Eurozine (opens in a new window), Inference Review (opens in a new window), OpenDemocracy (opens in a new window) and The Sociological Review (opens in a new window). In 2018, Alana was interviewed for the About Race podcast with Reni Eddo-Lodge (opens in a new window). For further details about her research, teaching and writing, please visit her personal website (opens in a new window). Hund, WD & Lentin, A (eds) 2014, Racism and Sociology (opens in a new window), Lit Verlag, Switzerland. Lentin, A. 2012, 'Racism' (Audio Book), Bolinda. Lentin, A & Titley, G 2011, The crises of multiculturalism: racism in a neoliberal age, Zed Books, London & New York. Lentin, A 2011, Racism and ethnic discrimination (opens in a new window), Rosen, New York. Lentin, A & Titley, G (eds) 2008, The politics of diversity in Europe (opens in a new window), Council of Europe, Strasbourg. Lentin, A & Lentin, R (eds) 2006, Race and state, Cambridge Scholars Press, Newcastle. Lentin, A 2004, Racism and anti-racism in Europe, Pluto Press, London. Lentin, A 2017, ‘Je suis Juif’: Charlie Hebdo and the remaking of antisemitism, in G Titley, D Freedman, G Khiabany & A Mondon (eds), After Charlie Hebdo: terror, racism and free speech, Zed Books, London, pp. 262–277. Lentin, A 2017, ‘(Not) doing race: “casual racism”, “bystander antiracism” and “ordinariness” in Australian racism studies’, in M Boese & V Marotta (eds), Critical reflections on migration, ‘race’ and multiculturalism: Australia in a global context, Routledge, Abingdon, pp. 125–142. Lentin, A & Titley, G 2014, 'More proof if proof were needed: spectacles of secular insistence, multicultural failure, and the contemporary laundering of racism', in R Braidotti et al. (eds), Postsecular publics: transformations of religion and the public sphere, Palgrave Macmillan, UK, pp. 132-151. Lentin, A 2014, 'Postracial silences: the othering of race in Europe', in WD Hund & A Lentin (eds), Racism and Sociology, Lit Verlag, Switzerland, pp. 69-104. Hund, WA & Lentin, A 2014, 'Editorial', in WD Hund & A Lentin (eds), Racism and Sociology, Lit Verlag, Switzerland, pp. 7-19. Lentin, A 2011, 'Imagining the west, perceiving race: social sciences and political imagination', in C Bottici & B Challand (eds), The politics of imagination, Birkbeck Law Press, London, pp. 109-123. Lentin, A 2010, 'Multiculturalism', in SM Caliendo & CD McIlwain (eds), Routledge companion to race & ethnicity, Routledge, London & New York, pp. 96-100. Lentin, A 2009, 'Competing anti-racisms and the interpretation of racism in the post-multicultural era', in S Bolaria, SP Hier & D Lett (eds), Racism and justice: critical dialogue on the politics of identity, inequality and change (opens in a new window), Fernwood, Halifax, pp. 189-206. Lentin, A 2008, 'Racism, anti-racism and the western state', in G Delanty, P Jones & R Wodak (eds), Identity, belonging and migration, Liverpool University Press, Liverpool, pp. 101-119. Lentin, A 2008, 'More Benetton than barricades: the politics of diversity in Europe', in A Lentin & G Titley (eds), The politics of diversity in Europe (opens in a new window), Council of Europe, Strasbourg, pp. 9-28. Lentin, A 2007, 'Anti-racism in Ireland', in L Connolly & N Hourigan (eds), Social movements and Ireland, Manchester University Press, Manchester, pp. 190-209. Lentin, A & Lentin, R 2006, 'Introduction', in A Lentin & R Lentin (eds), Race and state, Cambridge Scholars Press, Newcastle, pp. 1-14. Lentin, A 2005, 'Israel', in MJ Gibney & R Hansen (eds), Immigration and asylum: from 1900 to the present, ABC-CLIO, Santa Barbara, pp. 325-330. Lentin, A 2019, 'Charlie Hebdo: white context and black analytics' (opens in a new window), Public Culture, vol. 1, no. 1, pp. 45-67. Lentin, A & Humphry, J 2017, 'Antiracism apps: framing understandings and approaches to antiracism education and intervention' (opens in a new window), Information, Communication & Society, vol. 20, no. 10, pp. 1-15. Lentin, A 2016, 'Eliminating race obscures its trace: theories of Race and Ethnicity symposium' (opens in a new window), Ethnic and Racial Studies, vol. 39, no. 3, pp. 383-391. Lentin, A 2016, 'Racism in public or public racism: doing anti-racism in "post-racial" times' (opens in a new window), Ethnic and Racial Studies, vol. 39, no. 1, pp. 33-48. Lentin, A 2015, 'What does race do? ', Ethnic and Racial Studies, vol. 38, no. 8, pp. 1401-1406. Lentin, A 2014, 'Post-race, post politics: the paradoxical rise of culture after multiculturalism (opens in a new window)', Ethnic and Racial Studies, vol. 37, no. 8, pp. 1268-1285. Lentin, A 2012, 'The crisis of "multiculturalism" in Europe: mediated minarets, intolerable subjects', European Journal of Cultural Studies, vol. 16, no. 2, pp. 123-138. Lentin, A 2011, 'What happens to anti-racism when we are post race? ', Feminist Legal Studies, vol. 19, no. 2, pp. 159-168. Lentin, A 2008, 'Europe and the silence about race', European Journal of Social Theory, vol. 11, no. 4, pp. 487-503. Lentin, A 2008, 'After anti-racism? ', European Journal of Cultural Studies, vol. 11, no. 3, pp. 311-331. Lentin, A 2005, 'Replacing "race": historicising the "culture" in multiculturalism', Patterns of Prejudice, vol. 39, no. 4, pp. 379-396. Lentin, A 2004, 'Racial states, anti-racist responses: picking holes in "culture" and "human rights"', European Journal of Social Theory, vol. 7, no. 4, pp. 427-443. Lentin, A 2001, '"Race" and western culture', European Journal of Social Theory, vol. 4, no. 4, pp. 519-525. Lentin, A 2001, '"Race", racism, anti-racism: challenging contemporary classifications', Social Identities, vol. 6, no. 1, pp. 91-106. Alana Lentin presents a lecture on 'Race, Post-Race' at the Institute for Cultural Inquiry in Berlin (double click for full screen).